In 2012, Soho’s The Coach and Horses became famous as London’s first-ever vegetarian pub. 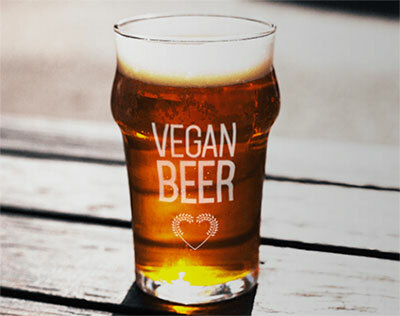 The pub is working with local breweries to serve cruelty-free beer. Now, the veggie-friendly boozer in the heart of the capital has a rival in east London, as a venue claiming to be the city’s first vegan pub opens its doors today. The Spread Eagle, which sits on Homerton High Street in Hackney, opens today, becoming the first pub in the capital to be 100% cruelty-free from bar to kitchen. It is owned and operated by Meriel Armitage and Luke McLaughlin, who are determined to show that vegan food doesn’t have to be holier-than-thou. The pub will serve a menu of plant-based Mexican dishes from street food vendor Club Mexicana, which is also owned by Armitage. “Just because food’s ethical doesn’t mean it can’t be naughty,” Armitage, 34, told the Evening Standard. The dishes take traditional meat-based meals and give them a plant-based makeover, with Mexican items including Jackfruit carnitas; vegan chorizo, and nachos topped with “cheez” made with soya and coconut oil, as well as vegan pub classic like beer-battered “tofish” and chips. Armitage and McLaughlin are also working with local breweries such as Beavertown to provide beers which have been fined without animal-based products. Traditionally, many brewers use products such as isinglass — a fish bladder protein — to fine their beers. Veganism has skyrocketed on the priority list for restaurants and supermarkets alike in the past year. Plant-based diets were tipped as a top food trend for 2018 in Waitrose’s annual Food and Drink Trend Report, while supermarkets such as the Co-op and Tesco have also started to bolster their vegan wine offerings.